Property 9: TRUE IN-TOWN SAINT MICHAELS 5.5 ACRE WATERFRONT w/POOL!!! Property 11: Stay in the HEART of Saint Michaels! 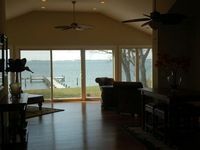 Property 12: The perfect escape on the Chesapeake Bay, come for a few days or a few weeks! Large -IN TOWN- Historic House on Harbor in St Michaels - Walk to Everything! Property 15: Large -IN TOWN- Historic House on Harbor in St Michaels - Walk to Everything! 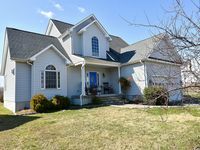 Property 21: St. Michael's premier in town summer vacation cottage! Town and Country | Newly Remodeled Home on Outskirts of Historic District. Property 29: Town and Country | Newly Remodeled Home on Outskirts of Historic District. Property 33: Fully remodel 2 bedroom country cottage with views of Dogwood harbor. ***NEW*** Enjoy Tilghman & Watch the Boats Pass from this Updated 4 BDR beauty! Property 49: ***NEW*** Enjoy Tilghman & Watch the Boats Pass from this Updated 4 BDR beauty! Waterfront, kayaks, views, complete privacy & sunsets near charming village! Property 50: Waterfront, kayaks, views, complete privacy & sunsets near charming village! Great Weekend in Tilghman/St. Michaels! The house was perfect for our group of 6. The owners did a great job of creating a comfortable home. Jennifer (rental agent) communicated well and in a timely manner. We enjoyed the dock. Great location with easy access to local restaurants. Highly recommend. We would stay there again.